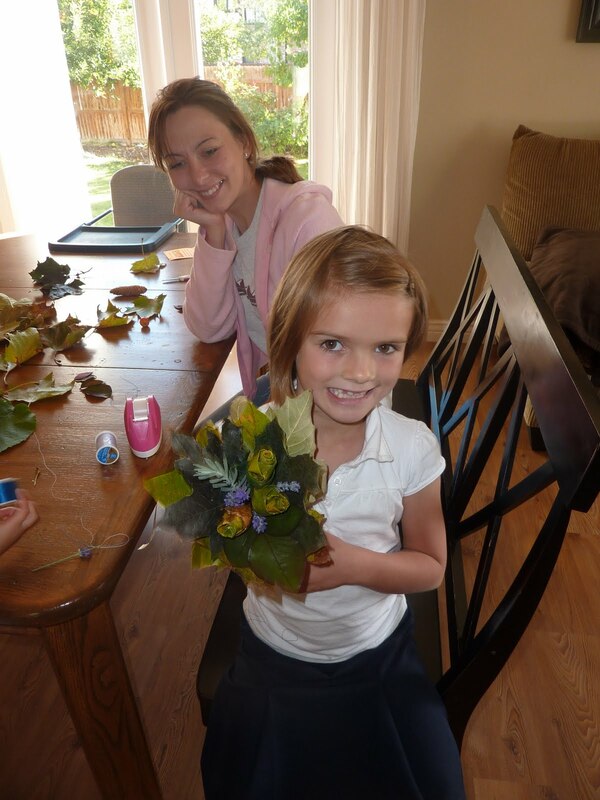 Larisa helped the girls make these beautiful bouquets with leaves from the yard. They don't last particularly long, maybe if you sprayed them with hairspray it would help? 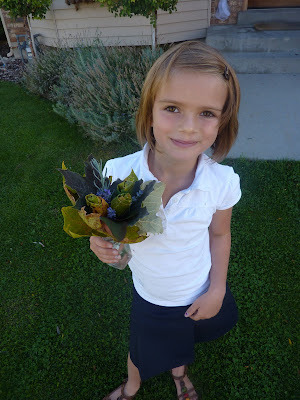 She found the idea on a Russian website. I know it included a lot of tape and string!